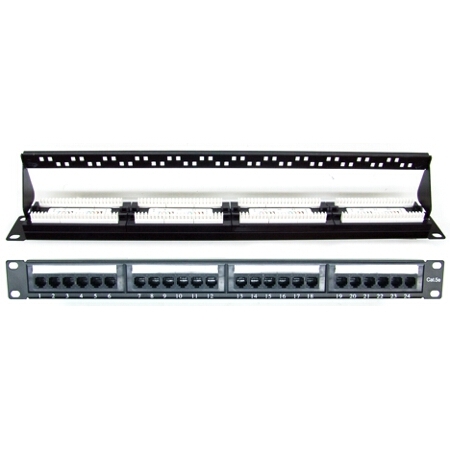 Category 5E 24 port, 1U, patch panel for 19" rack mounting. 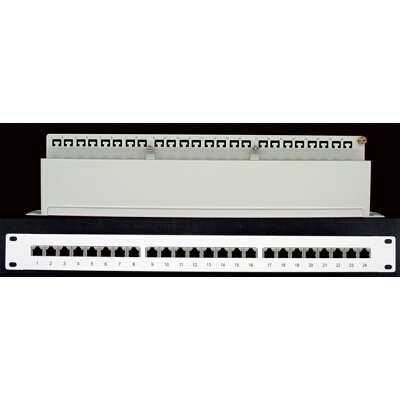 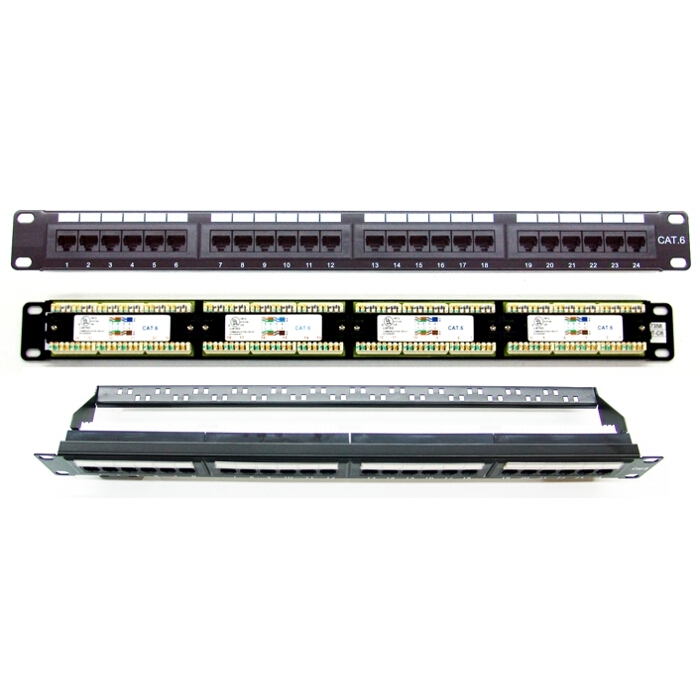 Cat5e patch panel 24 port plug thru 1U for 19"
Cat5e patch panel 24 port 1U for 19" rack mounting. Cat5e patch panel 48 port 2Ufor 19" rack mtg. 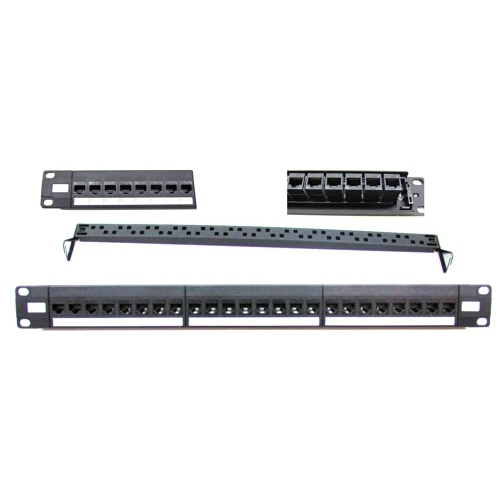 Fibre ST couplers for patch panel rack mounting.